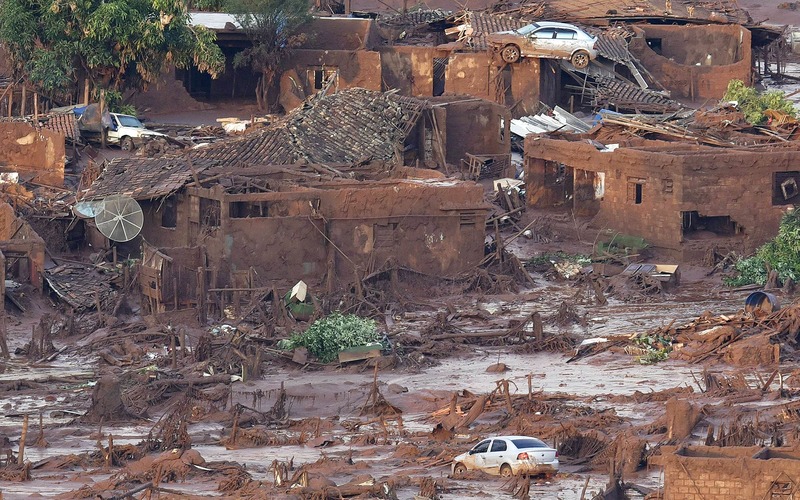 The Church of England’s investment arm has called for the mining industry to review tailing dams and the governance of joint ventures in the wake of the Samarco mine disaster. Nineteen people died and two villages were destroyed in Brazil when a dam holding back wastewater from a mine collapsed in 2015, flooding a river valley. The dam belonged to an iron ore mine run by Samarco, a joint venture between FTSE 100-listed BHP Billiton, and Vale of Brazil. The industry needs to pay “far greater attention” to the safety of tailings dams, which pose “very significant risks”, Adam Matthews, head of engagement for the Church Commissioners and Pensions Board, told The Daily Telegraph. Tailings dams are used to store ­by-products from mining. There are thought to be at least 3,500 such dams worldwide, all of which require ­upkeep after mining work has finished. Mr Matthews said miners also needed to “level the standards” of ­reporting around joint ventures, which often fail to disclose information ­beyond basic financial numbers. The Church will on Monday unveil a new ethical framework governing its ­investment in the extractive industries. Its three main funds together manage ?12bn of investments, with holdings in most of the major oil and mining companies. Publicly, it only declares its top 20 investments, which include BP and Royal Dutch Shell. The influence of the Church can ­extend beyond its own holdings, however, with asset owners and managers responsible for ?5 trillion under management having signed up to its policy on climate change, published in 2015. The Church’s new guidelines on the extractive industries include closer scrutiny of the legacy companies leave behind when they finish operations; greater commitments to human rights; and a desire for more transparency.